The United States Supreme Court issued its opinion in Florida v. Jardines on March 27, 2013, holding that a dog sniff at the front door of a house where the police suspected drugs where being grown constitutes a search for purposes of the Fourth Amendment. On occasion if law enforcement does not have sufficient probable cause for a search warrant they will employ a drug detection dog to determine if the dog alerts to the presence of narcotics from outside the door of the suspect’s residence. What the Jardine case states, is that the use of a dog constitutes a “search” under the Fourth Amendment. Although I have had not time to read the 5:4 decision completely to determine it’s impact on other cases where dogs are used to establish probable cause for searches, such as automobiles, this decision seems to say that a dog alert alone will not be sufficient probable cause standing alone to support a search warrant. 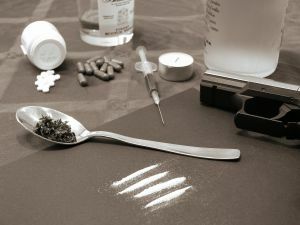 In the early 1990s, I had a major federal drug conspiracy trial in the Pensacola Division of the Norther Federal District Court where officers used a dog sniff from outside my clients apartment door to establish probable cause for the issuance of a search warrant when executed revealed the presense of a large quantity of cocaine. In Pensacola and Florida, as well as throughout the entire country, we often hear stories in the news media about people’s homes being searched by law enforcement who discover all types of incriminating evidence. The majority of these stories, but certainly not all, involve the seizure of narcotics. As we heard heard in Glenn Frey’s 1985 hit song Smuggler’s Blues: “I’m sorry it went down like this, someone had to lose, It’s the nature of the business, it’s the smuggler’s blues,” sooner or later, someone who chooses to distribute or sell narcotics is going to lose – it’s the nature of the business, they will be arrested and face, in most cases, a lengthy time in prison. We have all heard “a man’s home is his castle.” In 1644, English jurist Sir Edward Coke (1552-1634) was quoted as saying: ‘For a man’s house is his castle, et domus sua cuique tutissimum refugium’ (‘One’s home is the safest refuge for all’). However, there are exceptions to when a man or woman’s “castle doors” can be knocked down by the police, entered and searched without the permission of the owner of the castle. In order to enter your home to begin a search, the police must either have the citizen’s “consent” or have probable cause to believe that the home contains evidence of a crime in order to obtain a warrant to search your home from “a neutral and detached magistrate judge.” (There are a few exceptions). Some officers know which judges are more inclined to issue a warrant than other judges when they make application for a warrant. Often times when people are faced with police knocking asking at their door requesting they be allowed in, a surprisingly large percentage of people acquiesce and allow them in for fear if they refuse they may be bringing suspicion upon themselves or avoiding the inevitable – the police will come in anyway. However, a citizen has an absolute right not to allow law enforcement into their home if they do not have a warrant under most circumstances.